Obama’s challenge to the building community sees lots of growth—and some early success. As it turns out, maybe everyone just needed a good challenge. Energy efficiency improvements make a lot of sense financially and for environmental reasons, but widespread energy efficiency measures have been hampered by many factors, ranging from apathy to financing issues. President Obama and President Clinton teamed up to change that in 2011 with the Better Buildings Challenge. The Challenge has a goal of reducing energy intensity in U.S. buildings by 20 percent over the next ten years with a blend of effective financing, tax incentives, updated policies and corporate leadership. It’s still in its early phases, but the Challenge so far is delivering on motivation, and it has more than 170 partners representing most major commercial sectors. The larger Better Buildings Alliance, which includes members that set a goal of saving at least 2 percent of energy use per year, now counts more than 200 members that represent more than 10 billion square feet of commercial building space, according to a report on 2013 achievements. That figure is equal to one-seventh of all commercial floor space in the U.S. 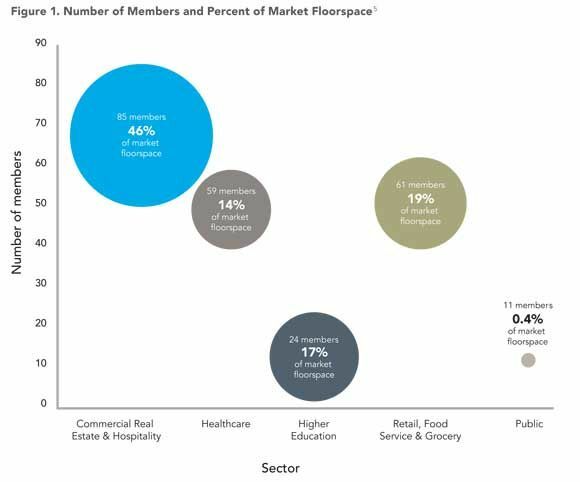 The combined category comprising commercial real estate, hospitality, retail and food is the largest sector, making up two-thirds of the Alliance in terms of floor space. In 2013, a public sector team was added, which includes schools and local governments. Also in 2013, members in the commercial sector tackled issues such as parking lot lighting and acquiring energy consumption data. They hope to expand on those gains in 2014 by moving toward having access to real-time energy data and making deep energy retrofits. Kimco Realty is one of the members that has had success tackling the low-hanging fruits. It already invested in high-efficiency lighting for parking lots, but now it’s looking to engage tenants at its shopping centers to achieve further energy savings. 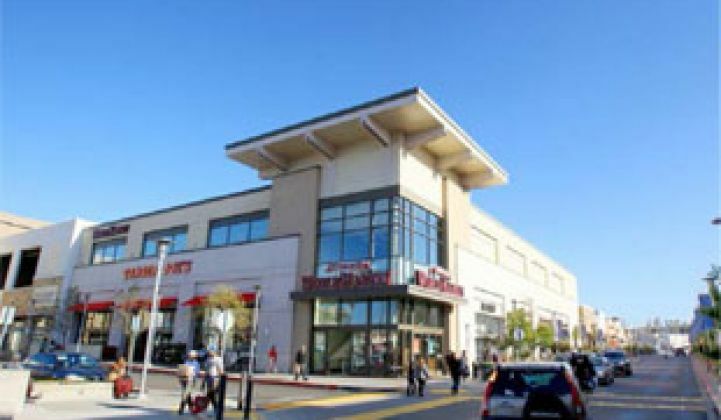 Kimco is working with Pacific Gas & Electric to identify energy-efficient improvements that work for both the landlord and tenant at the Westlake Shopping Center in Daly City, California. The realty firm is also part of the Better Buildings Alliance’s green leasing steering committee. The long-term value of the Alliance is not just in the goals it has set for energy reduction -- savings of 2 percent a year is unlikely to be transformational -- but rather the sharing of data, technical specs and processes to achieve sustained energy savings. In the healthcare realm, the efficiency efforts are focusing on encouraging CFOs and CEOs to develop case studies of successful energy efficiency investments to share with the industry. There are also technical initiatives, such as the energy management information systems team projects. In the domain of higher education, the Alliance is working on helping institutions obtain low-cost capital and overcome balance-sheet restrictions. In the food service and grocery industry, the challenge is that profit margins are already thin and energy use is high. Alliance members account for nearly 20 percent of the floor space in this market, and many of these members are large national retailers that are using the forum to find energy expertise and share energy efficiency ideas. In 2013, the Alliance launched a wireless meter challenge, exceeded its goal in the Lighting Energy Efficiency in Parking Campaign and introduced the Advanced RTU Campaign to encourage building owners to upgrade to more efficient rooftop units. It all sounds good on paper, but there is a long way to go. The challenge for the Better Buildings Alliance will be sustaining the momentum of the Challenge for the next eight years, and ensuring that the members are actually putting the lessons shared at the Alliance into practice across the bulk of their building space. In 2014, Better Buildings will continue to host webinars with a different issue each month and will host its Better Buildings Summit in Washington, D.C. in May.